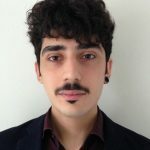 I'm a research assistant at Università degli Studi di Milano - Bicocca. work description: Localization of a robot inside an environment is one of the main problem in the field of mobile robotics. In the automotive context, where vehicle is intended as a robot, the correct estimation of positioning and orientation ("Pose") is an outstanding problem that is constantly subject of researches. For instance, in urban environments GPS sensors are not sufficient to adress this problem due to the loss of the signal caused by the presence of buildings. 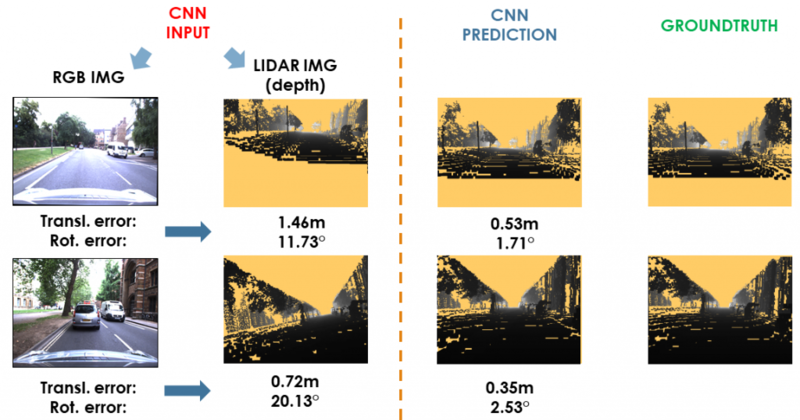 In the last few years convolutional neural networks approaches have taken hold in the computer vision field since they allow to adress mobile robotics problems like, for example, obstacle detection, tridimensional reconstruction and localization. Some approaches exploit, other than cameras, data from laser sensors like LiDAR with the aim to exploit depth from the scene and the reflectance of the objects contained. For localization task it is usual to find approaches usable inside a specific environments that is learned by a convolutional neural network, however there are not works that try to generalize the map concept in order to allow a neural network to perform localization inside different locations, that are never seen before. The thesis aim is to adress the localization problem with convolutional neural networks in order to correct the pose error of a vehicle: the proposed approach exploits images and LiDAR maps to face such issues. 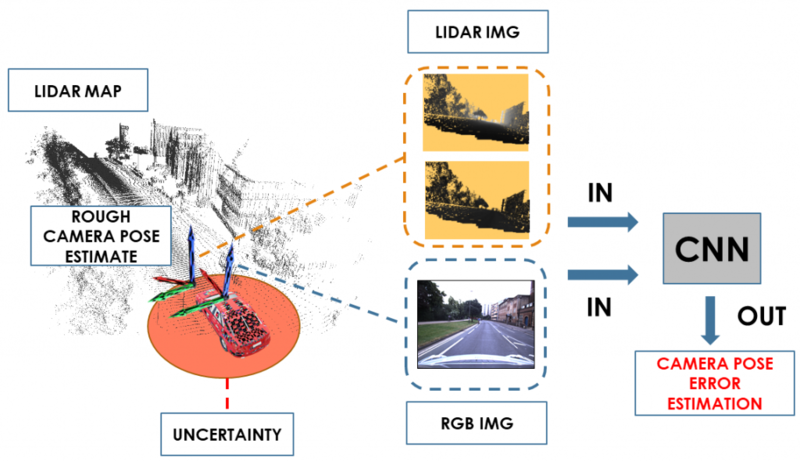 LiDAR map integration is not a simple process inside a convolutional neural network approach and a part of this thesis deals with the problems of this type of integration. The obtained results suggest that the work done is a starting point for adressing the localization problem following this type of approach.